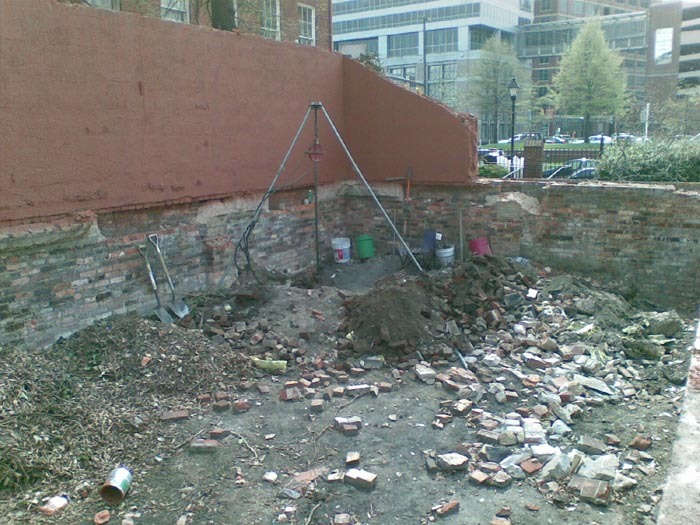 Doug managed to secure permission on a small construction site in Baltimore. This site was simply a single building that had been removed and a large hole left. We located a round brickliner near the back. We started taking it down and were finding 1920s bottles and other modern stuff then we broke into a layer of blob beers. About that time Alan arrived to give us a hand with the dig. We continued down find a few more blob beers but the age never seemed to get out of the 1890s. We hit water at about 10 feet and Bailing was pretty useless because the water continued to flow back into the hole. I got in and got wet so to speak. 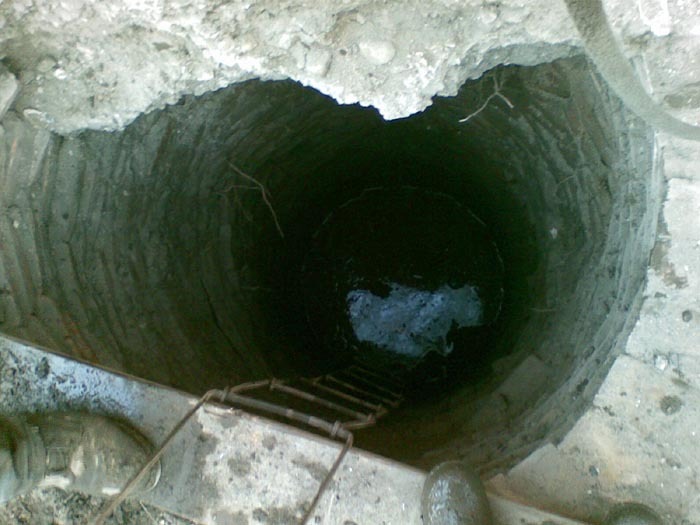 I was able to get a hole down to the bottom and then using my shovel shift the wet muck around until I was sure I had covered the whole bottom. I found 5 or 6 more blob beers but the pit never aged. 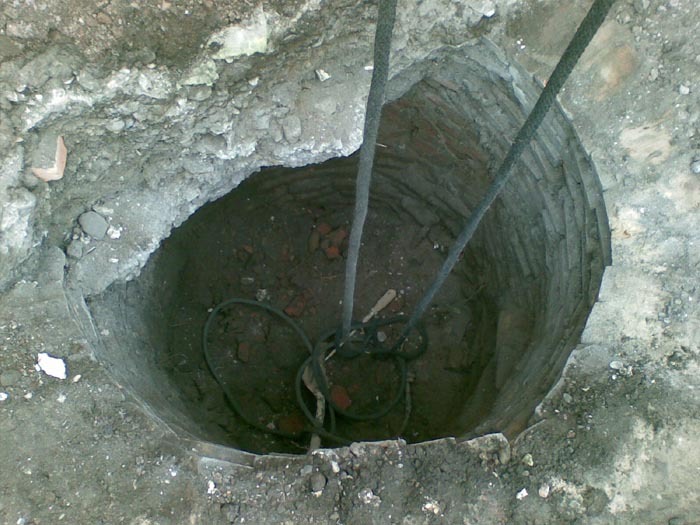 Its my feeling that this pit was probably built as a well originally then filled with household trash in the 1890s.